This two story home is our first in Venice California and our two young clients gave us one simple directive: “don't f*ck it up”. Given such freedom, we created a solid mass punctuated by welcoming voids. We tucked the stair to the side, allowing a long uninterrupted vaulted kitchen to run through the center of the house. This cedar clad space connects the front yard to the back yard while blurring the boundary between indoor and outdoor spaces. The 2,700 s.f. 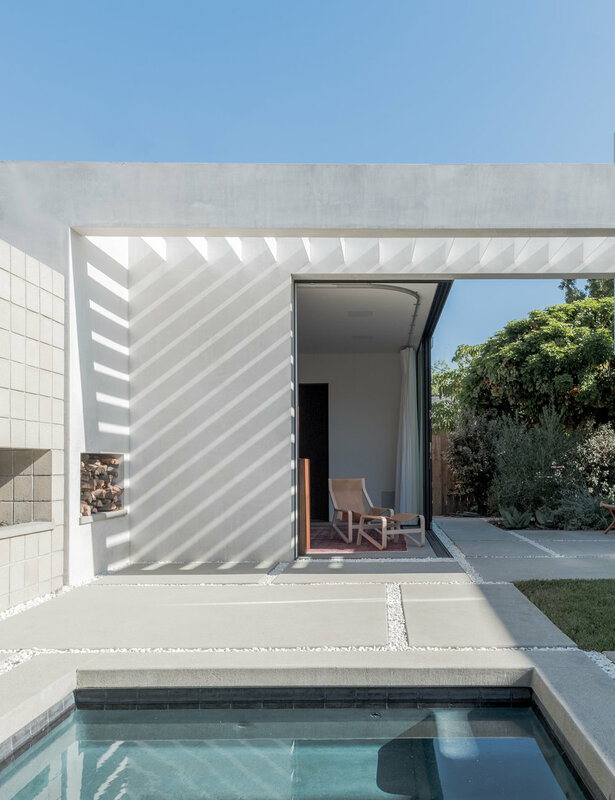 house features a small plunge pool, a guest cabana, and a roof deck.